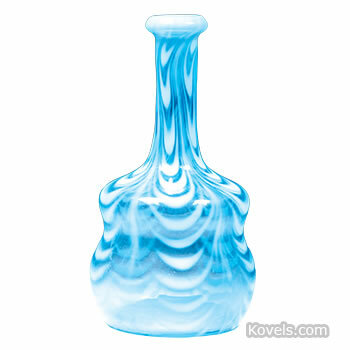 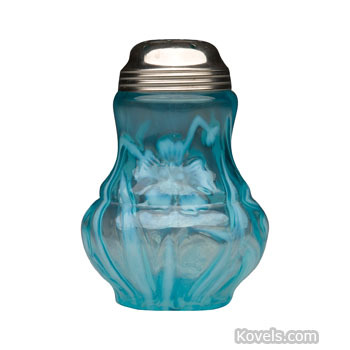 Opalescent glass is translucent glass that has the tones of the opal gemstone. 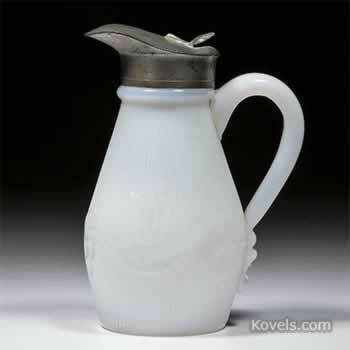 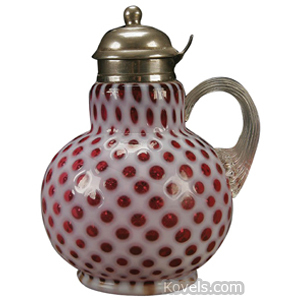 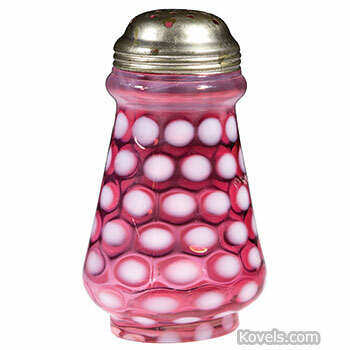 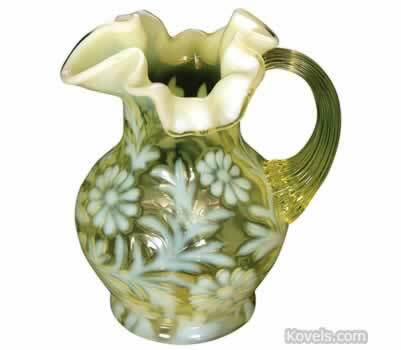 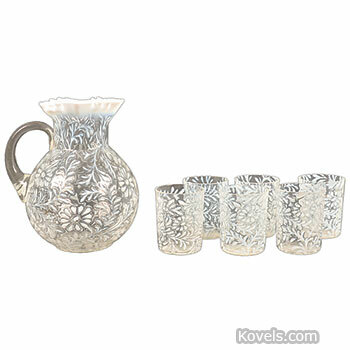 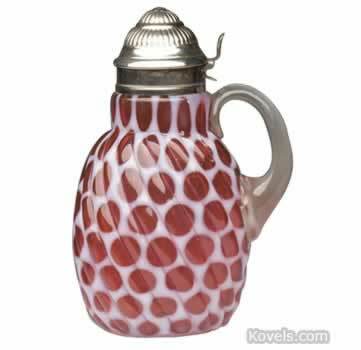 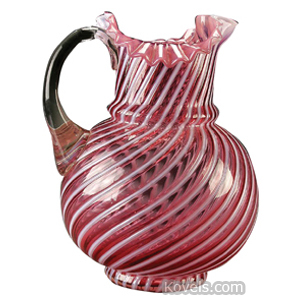 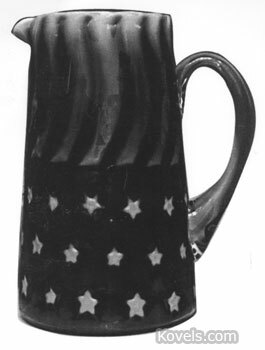 It originated in England in the 1870s and is often found in pressed glassware made in Victorian times. 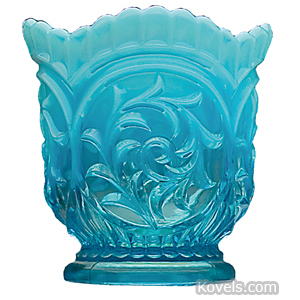 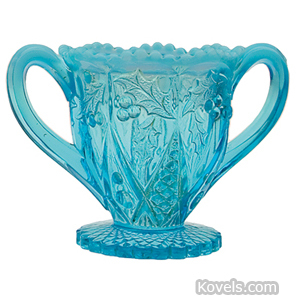 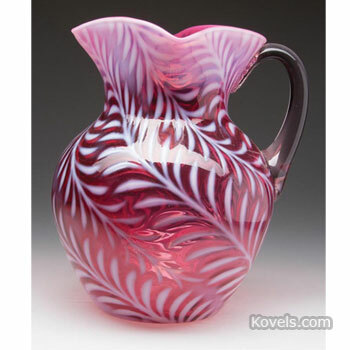 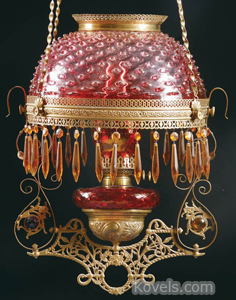 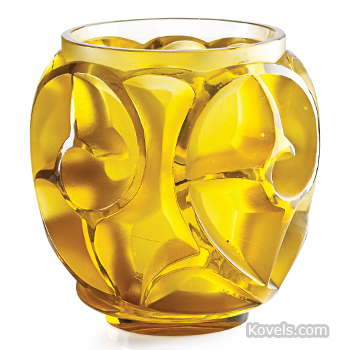 Opalescent glass was first made in America in 1897 at the Northwood glassworks in Indiana, Pennsylvania. 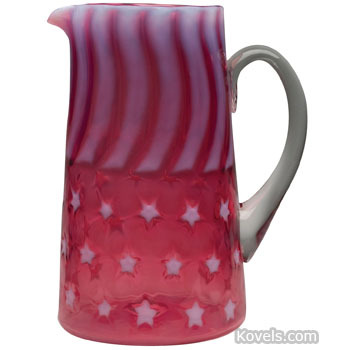 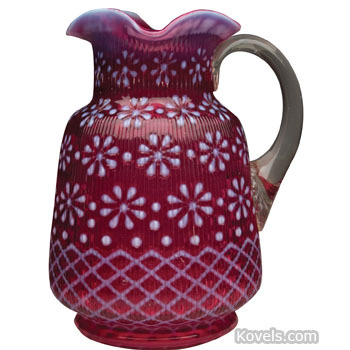 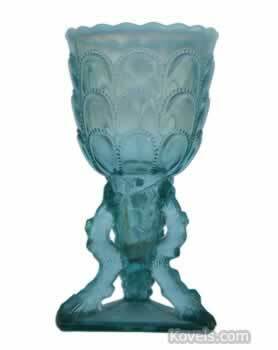 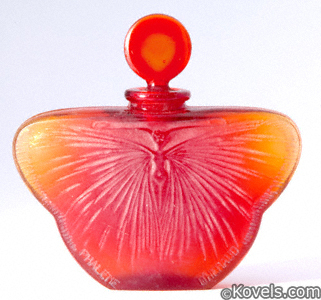 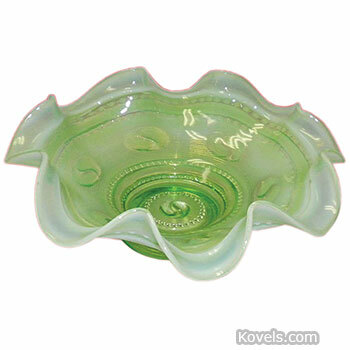 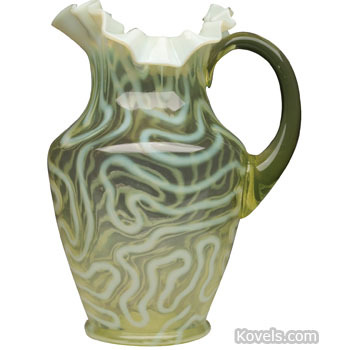 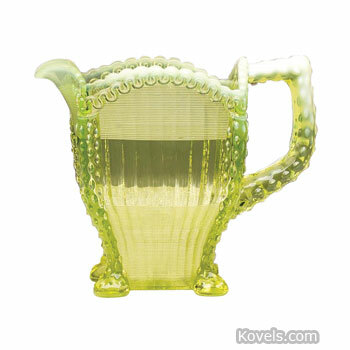 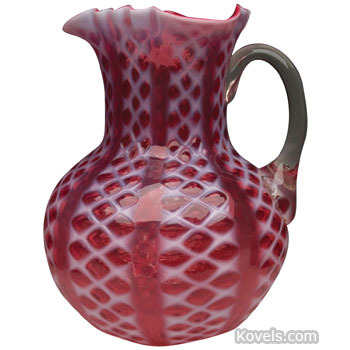 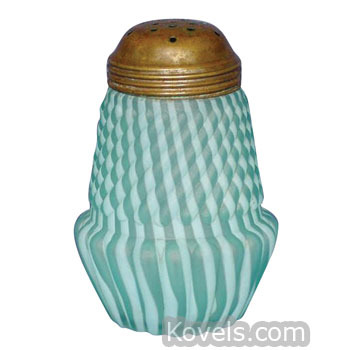 Some dealers use the terms opaline and opalescent for any of these translucent wares. 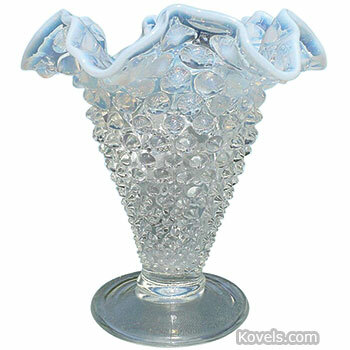 Opalescent glass was named for the opal gemstone. 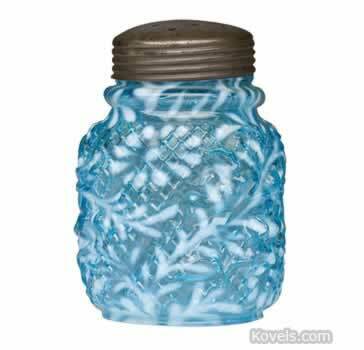 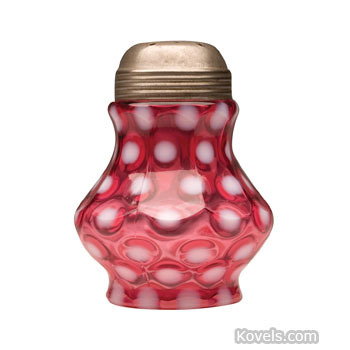 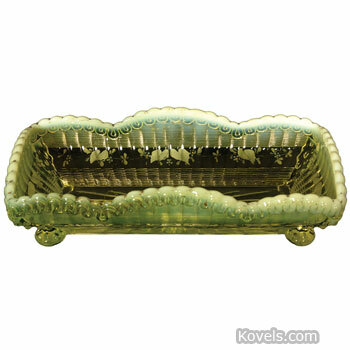 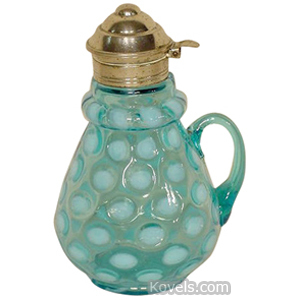 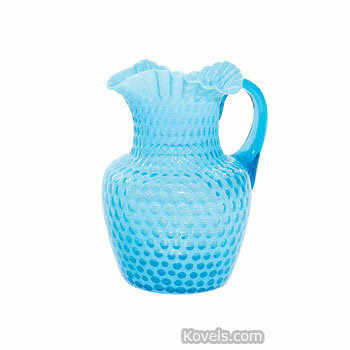 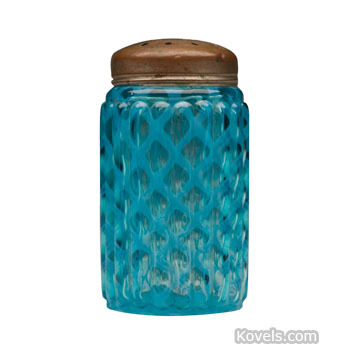 More opalescent pieces may be listed in Hobnail, Northwood, Pressed Glass, and other glass categories.